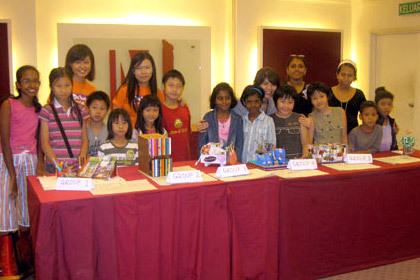 The recent year end school holidays were made merrier for some Metrojaya members when they had a chance to participate in a creative craft workshop organized by Da Vinci Bangsar centre and Metrojaya. 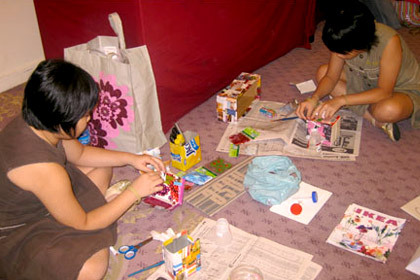 The members, aged 7 to 12 years old, had a great time learning how to turn recyclable materials into stationery items. 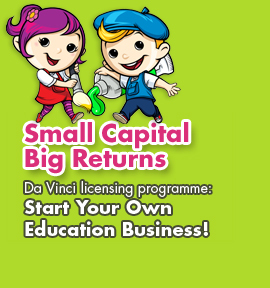 Members who created the best artworks were also presented with attractive prizes by Da Vinci Creative Kids.